NOTE to European people: I’ve just discovered the British PC Specialist does a similar service with very little shipping costs to Europe. My girlfriend purchased basically the very same laptop I have, but costed $350 less in shipping! August 2016 update: my screen turned to a shade of pink. All of a sudden, while working, colors flickered and it’s just as if a pink filter is in front of it now. Some times it flickers back to white, but most of the time it’s pinkish. Of course System76 offered to fix the issue for free, but it would have costed me at least $400 in shipping, so clearly this was not an option. January 2017 update: my Lemur died. In previous weeks, sometimes it would happen that the screen would go black and that the fan would start spinning as hell, at which point the only thing I could do is forcefully shut it down. However, the behavior started to show up more often, until it was the only it would do. After some troubleshooting with System76, it turned out that it was probably a motherboard issue. The PC was a couple of months out of warranty, and the quote was of around $500 to ship, repair and ship back. I ditched System76 and bought a new, almost equal laptop from PC Specialist for roughly the same amount (€500). It’s working fine so far. The screen has a poor opening angle (I’d say around 120 degrees). This is not a problem if you put it on a desk with a proper chair, but as soon as you put it on your lap or if you are higher than your table, you’d immediately like the screen to open some more. The SD card reader doesn’t work with Sandisk Extreme 90MB/s or even 60 MB/s. System76 said these are extremely new and high speed cards, but this is not a justification to me as my 10-years-old card reader handles them just fine. Build quality is cheap. It’s all bendy plastic. I’ve got light scratches everywhere, and some deep ones. Just laying copybooks on my laptop shouldn’t make deep scratches. Screen brightness is too high, even at its minima. In normally (and even poor) lit environments this is fine, but when you are in the dark you have the feeling a lamp is being pointed at you. Volume is still a bit low, even at its maxima. This may be due to the fact that speakers are located under the laptop. I still stand behind everything I had written below, but given the screen fault and other shortcomings, and that PC Specialist is offering such a discounted service (at least to me, in Europe), I’d buy from them rather than from System76. It’s great. It just works. Beautifully. It’s reliable, and quiet. And when I say quiet, I really mean that I’ve heard the fan start going a couple of times in 6 months. Normal companies don’t make laptop for normal people. Normal laptop from normal companies are not built to last. It’s quite clear to me that the laptops you find in a shop are built so that 4 years later you will need to buy a new one. 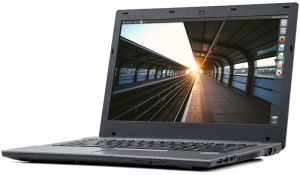 Just look at the average configuration of a decent laptop (which would be around $500): Intel i5 CPU, 4 GB RAM, 1 TB HDD, some dedicated graphics card. Now, how much of that my mother needs? Little nothing, and it’s lacking what she’d really need. Graphics card are completely useless to the average user. Highest graphical need is the Windows GUI, why waste $80+ on something needless? Intel i5 CPU – right, okay, it’s gonna be fast, but how much does it need to be fast a laptop to surf the internet and watch a film? 1 TB HDD? My whole film collection takes less than that. Like, really. Put in a SSD of 256 GB and stop this fuss of having bigger drives. 4 GB RAM is fine. But it’s just fine. Ubuntu with Chrome (5 tabs) open takes 1,7 GB. My mother has Windows, an antivirus, dropbox, 15 tabs open, and generally forgets to close anything she opens. Now suppose she has 3 GB busy. Just let the next Windows come out and it won’t fit on her machine, and voilà: you need a new laptop. If you look for a higher-end laptop, they’ll put in an Intel i7. What on earth is my mother supposed to do with a 4-core 3 GHz? It would just drain the battery in an hour! Oh yes, I forgot to say, My new Lemur’s battery lasts five damn hours! The wonderful thing with System76 is that it gives you the choice of the PC you want to have: you start with a basic setup and you can tweak it to fit your needs. They’re providing a service to users, not just requesting them money. Plus, it costs around the same amount as a normal computer from a normal company, so why not? (I spent a hell lot of money to get it to my house, but I’m not from the USA) Not to mention the quality support and availability of the System76 team, something which you wouldn’t get from a normal company, not even in a million years. System76 does good work for little the right money and probably reduces technology waste over time. I think it’s our responsability as tech guys to feed this kind of companies instead of careless giants. 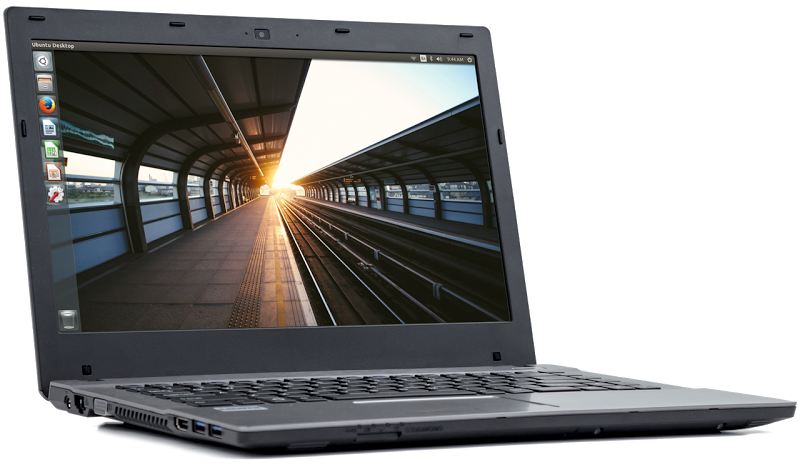 Are you considering buying a System76 Lemur? Or, if you own one, what has been your experience like? This entry was posted in IT and tagged review by TheCrowned. Bookmark the permalink. I don’t have any real stats you could rely on. What I can say is, when I still had Ubuntu 14.04 LTS las tweek, I noticed that after an hour the battery dropped by around 15%. Supposing you only wanted to use it until 20%, you could get around 5.3 hours of battery. But hey, I may remember wrong, so don’t take this as too reliable information, sorry! “My new Lemur’s battery lasts five damn hours!” That is terrible man. For the same price of the Lemur you can buy laptops running Windows 10 with a battery life of 8 hours. Dell on their website claims 8 hours of battery life in all the Inspirons 5000s. I will buy a Lemur in the future if they can pack at least 8 to 10 hours of battery life in their laptops. Did you install TPL? What tool did you install? How much did the battery life improved after installation? I am running ubuntu mate with TPL in an old 17 Inch HP laptop and I am getting 2 hours of battery life with normal use. Oh, and I keep screen brightness at the minima most of the time.